Pope Benedict XVI Quotes. 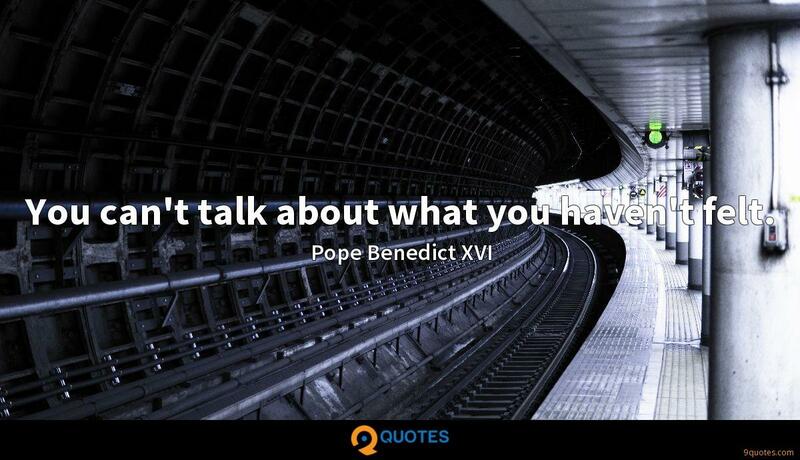 9quotes.com, 2018. http://www.9quotes.com/quote/pope-benedict-xvi-43708, accessed 22 April, 2019. 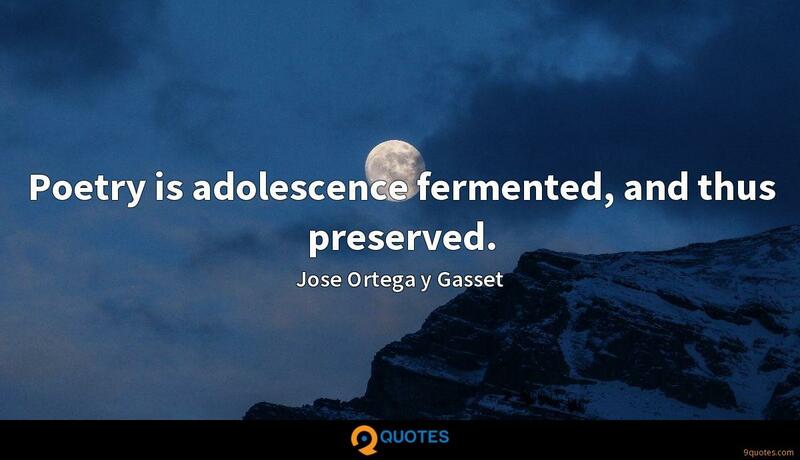 We thus see that the Greeks of the early ages knew little of any real people except those to the east and south of their own country, or near the coast of the Mediterranean. I've had some incredible moments in my life - thus far. I hope a lot more are coming. 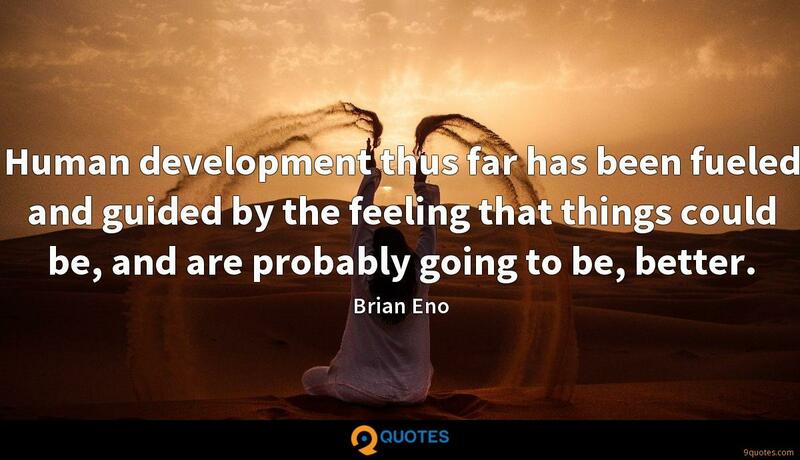 Human development thus far has been fueled and guided by the feeling that things could be, and are probably going to be, better. In reality, I am more a professor, one who reflects and mediates on spiritual questions. Practical governance is not my strong point, and this is certainly a weakness. But I do not see myself as a failure. For eight years, I carried out my work. 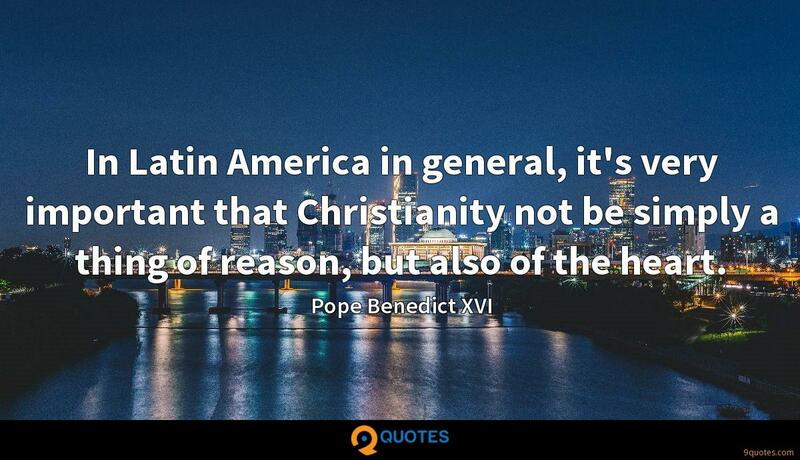 In Latin America in general, it's very important that Christianity not be simply a thing of reason, but also of the heart. You can't talk about what you haven't felt. If we look to the saints, this great luminous wake with which God has passed through history, we truly see that here is a force for good that survives through millennia; here is truly light from light. I use both the 'I' and the 'we.' For on many, many matters, I am not simply expressing ideas that have happened to occur to Joseph Ratzinger, but I am speaking out of the common life of the Church's communion.